THREE of the boxers that will compete for Great Britain at the Rio 2016 Olympics have been named in the British Lionhearts team to face the Cuba Domodores this Saturday in the final of the World Series of Boxing (WSB) in The Sport Complex Uzbekistan in Tashkent. Galal Yafai (light-flyweight), Muhammad Ali (flyweight) and Lawrence Okolie (heavyweight) will all compete for a Lionhearts team making its first appearance in the final of WSB, after knocking-out the defending champions, Astana Arlans, in last week’s semi-final at York Hall. They will be joined by seven other members of the GB Boxing squad: Peter McGrail (bantamweight), Luke McCormack (lightweight), Dalton Grant (light-welterweight), Ekow Essuman (welterweight), Troy Williamson (middleweight), Thomas Whittaker-Hart (light-heavyweight) and Frazer Clarke (super-heavyweight). Yafai, Ali, McCormack, Okolie and Clarke have been amongst the mainstays of the British Lionhearts squad this season and are all unbeaten in WSB. Yafai, Ali and Okolie have two wins this season and Clarke has four, three of them coming inside the distance. McCormack has 5-0 record in WSB made-up of three wins this season and two from 2015. 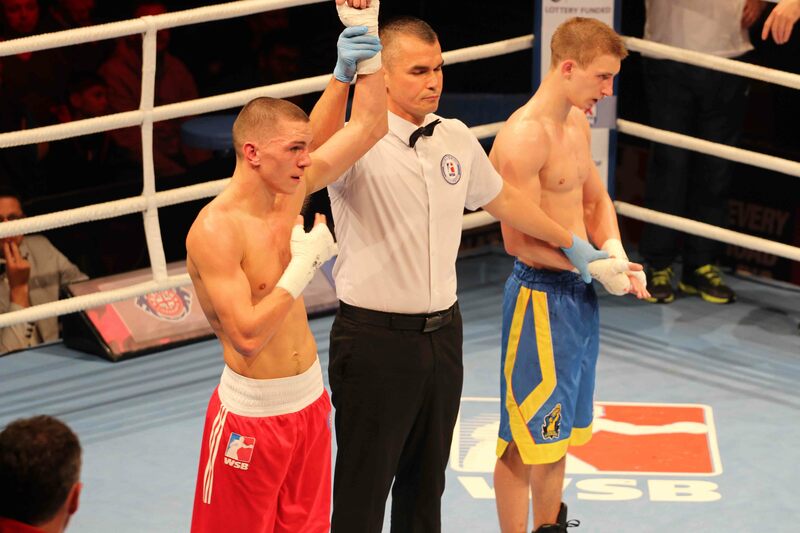 He was named WSB Boxer of the quarter-finals in the Lionhearts’ 8-2 demolition of the Ukraine Otamans. Rob McCracken, Performance Director of GB Boxing and the Head Coach of the British Lionhearts said: “Compared to other teams in WSB we have a relatively young and inexperienced squad so to make the final of a competition as difficult and physically demanding as WSB is a superb achievement by all of the boxers that have represented the British Lionhearts this season. All 10 bouts will take place in one night. If the match is equal at 5-5 after 10 bouts there will be a tie-break bout at light-welterweight in which Alfie Price will compete for the British Lionhearts. The final will start at 3.00pm on Saturday 4th June from 3.00pm and can be watched at www.worldseriesboxing.com.